In other headlines this week, US companies requiring suppliers to adhere to new government reporting standards. Creating a solid contract is only step one. Put yourself in Walmart’s shoes. Can you imagine the hundreds of thousands of worldwide contracts they have to track measure and enforce compliance? 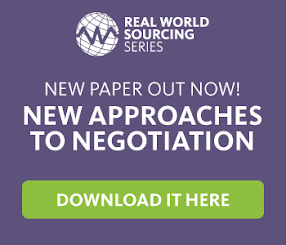 Even smaller enterprises are struggling with contract management. What tools and processes do you use to manage and enforce supplier contracts?